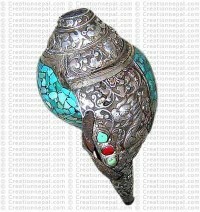 Shankha, the trumpet conch shell is a very important ritual object both for Hindus and Buddhists. 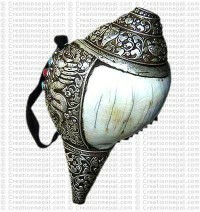 The plain conches are commonly used in Nepal and one can find it in most of the houses, whether there is pooja (the auspicious ceremony) or demise (burial ceremony); conch trumpet is must especially among the Hindus in Nepal. 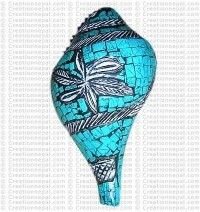 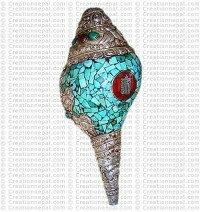 Here we offer some of the beautiful artwork of Shankhas.